Image measures - 9" x 12"
With frame - 19 1/2" x 22 1/2"
Image - 19" x 26"
With original frame - 31" x 36"
Julia Sorrell mixed media painting. 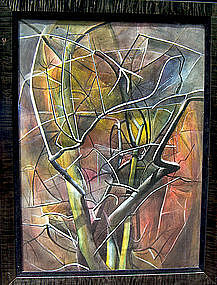 Image - 21 1/2" x 29". Norfolk & Norwich Festival Open Studios 1995 - 05. 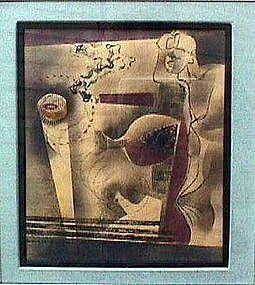 Image measures - 11 1/2" x 15 3/4". 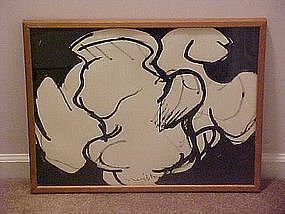 Framed in original matte and frame. 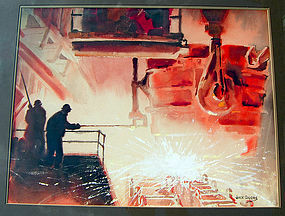 Image - 17" x 23"
Frederick Gill - American 1906 -1974. 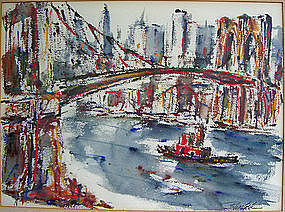 Studied at The Pennsylvania Museum School of Art, The University of Pennsylvania and The Tyler School of Art. 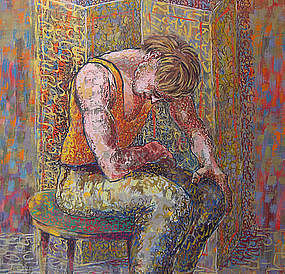 Exhibitions - Metropolitan Museum of Art, American Academy of Arts and Letters, Pennsylvania Academy of the Fine Arts, Butler Art Institute and the Philadelphia Art Alliance. This watercolor [image] measures 17" x 21". 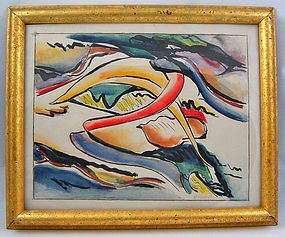 Joseph Meierhans Modernist Abstract Bucks County, Pa.
Abstract watercolor, by Joseph Meierhans, Bucks County, Pa. modernist, circa 1940's. In very good original condition this work measures appx. 10 1/2" x 14". Estate stamped on verso. Meierhans, b. 1890 in Switzerland, came to the United States in 1917, eventually settling in Bucks County. He studied under A.N. Lindenmuth and J. Sloan. 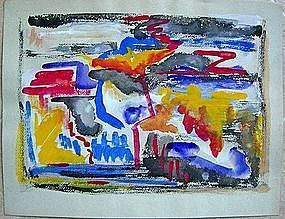 He was a member of the S.Indp.Artists, ASL, Provincetown A.A. and the American Abstract Artists. Lloyd Ray Ney. 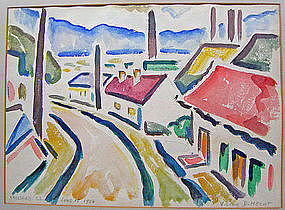 Ney, - 1893 - 1964, b. Pa. Lived in New Hope, Pa. 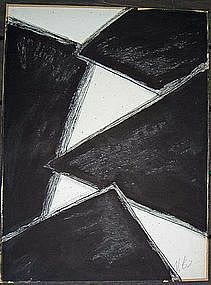 Studied - Pennsylvania Academy of the Fine Arts, winner of the Cresson Prize, WPA commissions, his non-objective paintings were included in 15 years of exhibitions at the Guggenheim Museum [ 1947 - 1955]. 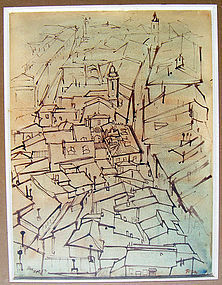 This watercolor on paper board is in very good original condition, unframed, and measures app. 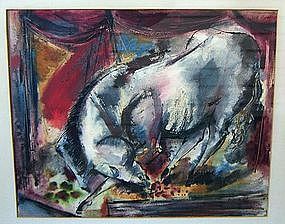 18" X 24", signed Ney,'62.